HG Mays Corporation is a family-owned paving company whose foundation has always been hard work, top quality paving materials and outstanding customer service. 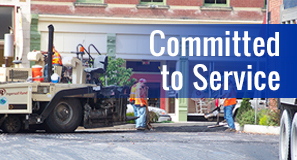 We were founded in 1958, which means we have nearly 60 years of experience building, repairing and repaving roads throughout Central and Eastern Kentucky as well as Southern Ohio. 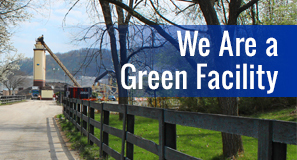 Each of our three asphalt plants – in Frankfort, Flemingsburg and Maysville – is equipped with a quality control lab to ensure the quality of our products. We also own and operate a nationally certified materials testing and quality control lab in Frankfort. All of this means we can make asphalt that precisely meets your specifications and requirements for quality and durability. 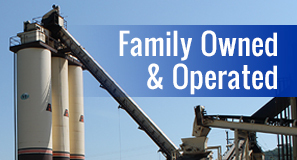 Our paving operations work out of our asphalt plants, serving nearby counties. As a certified highway contractor in Kentucky and Ohio, we have the knowledge and capabilities to handle nearly any kind of work – ranging from small commercial parking lots to long stretches of interstate highway. We are committed to the safety of our employees, our clients and the traveling public. A safety plan is part of every project we undertake. In Kentucky, we serve Franklin, Woodford, Shelby, Robertson, Mason, Fleming, Nicholas, Lewis and Bracken counties. In Ohio, we serve Brown and Adams county. As members of various state and national trade associations, HG Mays is involved in the industry on a broad level. We are therefore able to stay apprised of the industry’s latest technologies, equipment and techniques.